LOWEST PRICED HOME IN PARK! 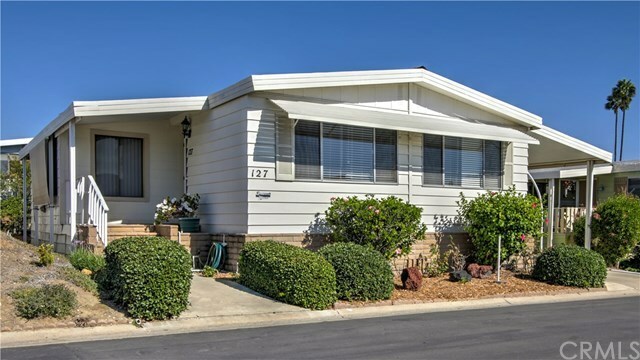 Home is located in upper level of Shorecliffs Terrace park, a 55+ resident-owned community located in desirable San Clemente. Home has updates with a corian counter, gas stove, kohler sink, You are welcomed into a bright living room facing southwest for the cool ocean breezes. The master bedroom boasts a walk-in closet and spacious bathroom. Enclosed sun room ideal for an office or a craft room. Home has a back yard for enjoying morning coffee and room for a garden, and large finished shed for storage. Carport posts have been extended for easy access to your car. Windowed den can be converted to a bedroom. Shorecliffs Terrace is an active community with lots of amenities such as a salt-water pool, workout room, wood shop and more. A wonderful place to spend the retirement years and enjoying the San Clemente weather!